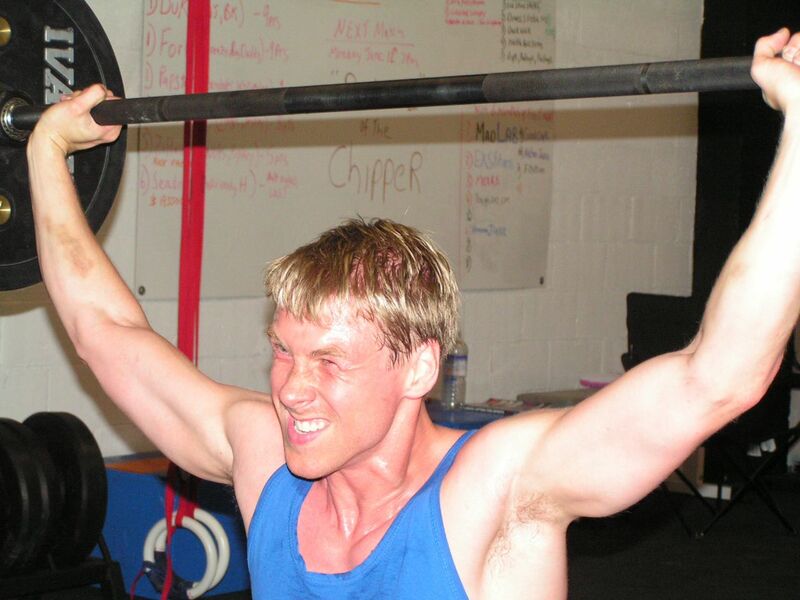 Happy birthday Drew - we’ll see you at the 2012 Nutts Cup Crossfit competition! Happy birthday to a Canadian hero many of us knew and continue to love, and will miss always. Every year around this time you were always surrounded by those who loved you most, and we’re all thinking about you and remembering those times again. Wish you were here buddy. As always - God Bless Nutts. 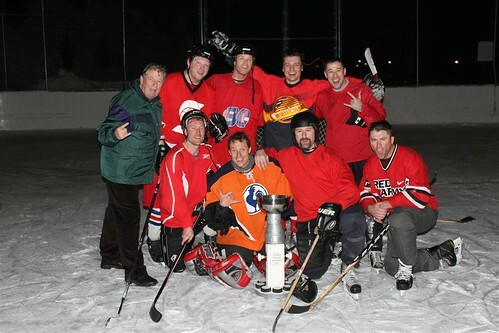 What was originally an outdoor shinny hockey weekend limited to members of the Guts Hockey team out of Vancouver has grown in meaning and size since we lost Andrew in December 2009. 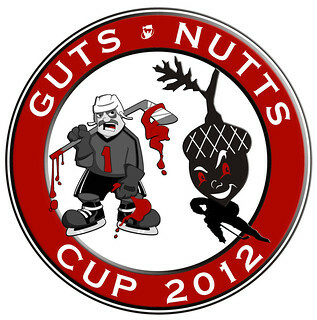 The tournament that followed that January was then renamed to the “Guts/Nutts Cup” in memory of Andrew, who many of the members of the Guts hockey team knew and loved. This year it was bigger and better than ever, with over 50 guys taking over the entire hostel at the Apex Ski Resort and commandeering the outdoor rink across the parking lot for the entire weekend of March 8-11. 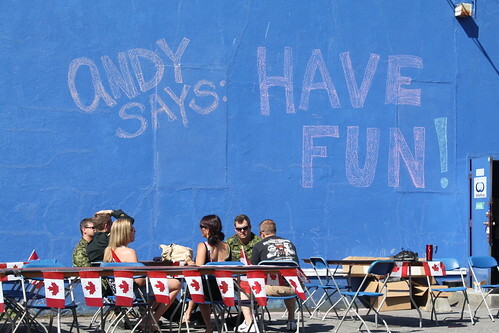 The tournament is about hockey in its purest, most Canadian form (e.g. outside!) and about having a great time with old and new friends. But it’s now also about remembering Andrew and stands as a symbol of one of the things Andrew was fighting for: our very Canadian way of life and taking a weekend to enjoy the benefits of it by spending time competing and having fun, and doing it in the most Canadian way possible. This year the winners were the Hearts, who beat out the heavily favoured Diamonds with a combination of grit and skill. Andrew’s father Rick dropped the puck for the final game and watched from the sidelines while Drew’s good buddies from the Canadian Forces, Bryce Talsma and Wayne Niven helped their team take home the Cup in their first ever appearance at the tournament. Much like January 2010 when Andrew’s brother Johnny took home the trophy in an emotional and unexpected win with his underdog team, we felt like Andrew was there helping his “army boys” along to their big win, and participating in the celebrations later. Click here for more pictures of the tournament. 2 years ago today we lost Andrew. I don’t think there’s a lot to say today that hasn’t already been said over the past two years. There were many events this year where Andrew was honoured and remembered, and it’s clear that his memory is and will continue to be strong among all those who love him and are inspired by him. Rather than listing them all here, browse the past posts which document many of the wonderful and inspiring events many of us participated in over the last 12 months. Today is a day that many of us wish we didn’t have marked in the calendars in our hearts, but it’s another opportunity for us to immerse ourselves in the wonderful memories we have of Andrew, and those can never be taken from us even if Andrew was. It’s funny how you keep making us proud, Andy. Andrew has been awarded the Meritorious Service Medal by the Governor General of Canada. The medal recognizes individuals for their outstanding professionalism and bringing honour to Canada and its military. For more information, see The Governor General’s Press Release. Also see the vicnews.com article covering the event. We’re so proud of you Drew, and we miss you always. 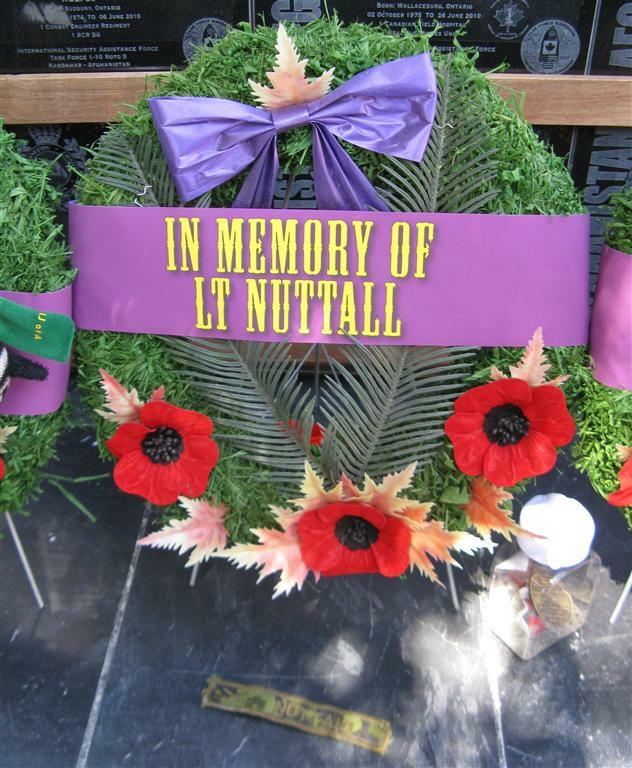 Remembrance Day is always tough for those of us who have lost loved ones in the line of combat. 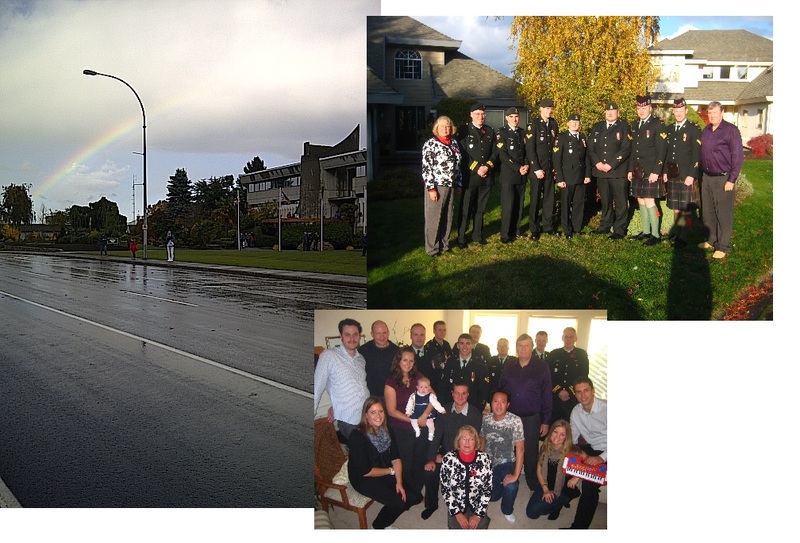 This year, like last year, many of us gathered together in Victoria to remember Drew and honour him and all of the fallen soldiers. Getting together is always both joyful (in the memories) and painful (in the reminder), but none of us would have wanted to be anywhere else. I’ve uploaded some pictures from the day on Drew’s Flickr account here. 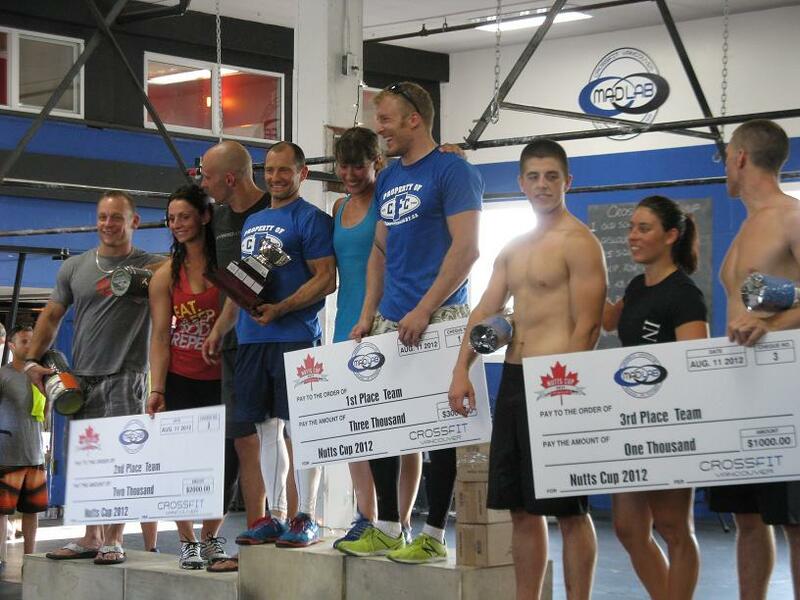 A long overdue post regarding the details and success of this year’s Nutts Cup Crossfit event. It was a fantastic day and was bigger and better than ever - everyone had a great time and it was fierce competition. Many of Andrew’s friends and family attended, and we all bonded during a day that Drew would have loved - one that honoured him and his passions for fitness, determination, and living life to the fullest. 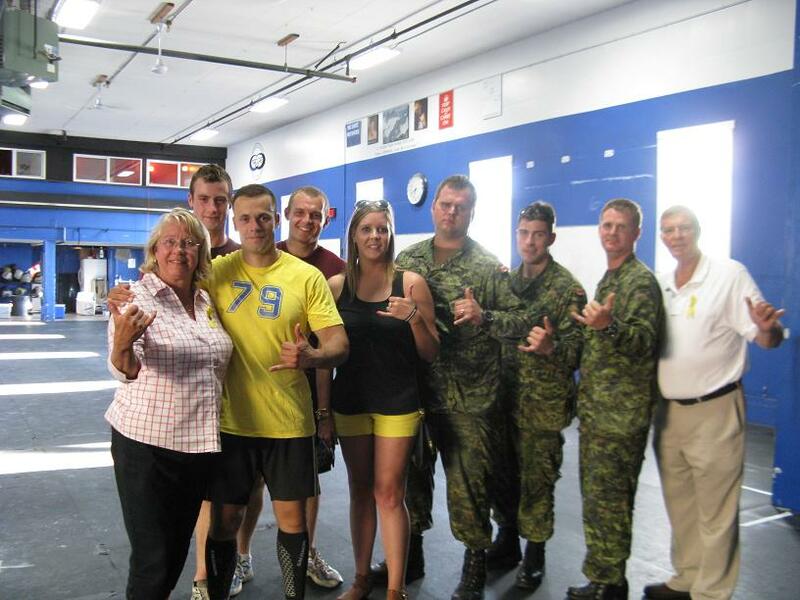 Crossfit Blog: Inspiration, Where do you get yours from? 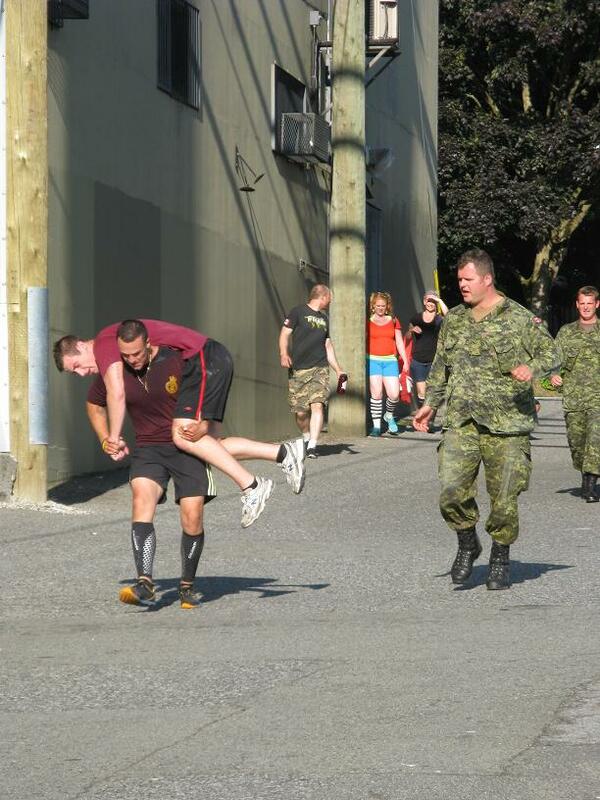 Just to let you know what is happening this Saturday (August 27) at CrossFit Vancouver (or at least as far as we know what is happening!). Craig Patterson has organized quite an event this year, and has 30 teams coming from BC, Alberta, Washington and Oregon, competing for $5000 in prize money for a ‘Hero Workout’. The opening ceremony is at 9 am. I understand they will have a band, a few speeches, moment of silence, etc. 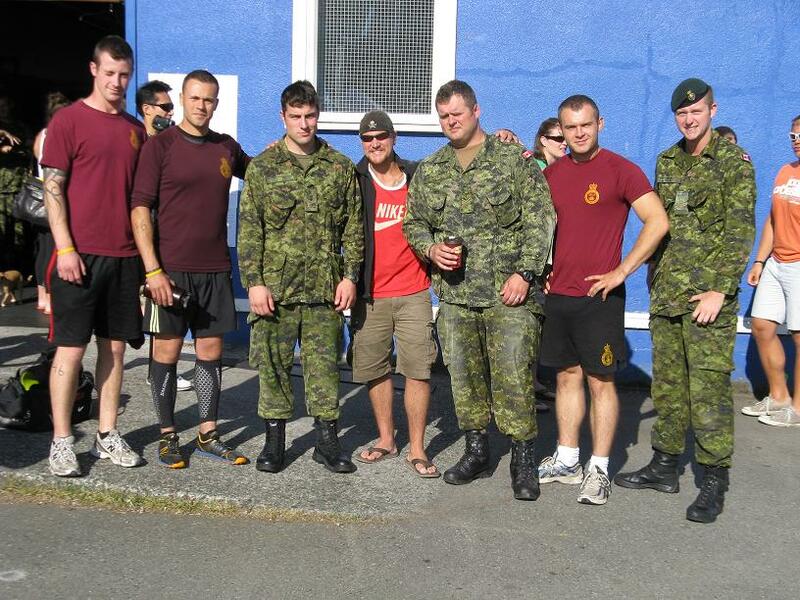 From the PPCLI in Edmonton, the Commanding Officer is coming over, plus two from Andrew’s platoon. The event will run till about 3 pm, when the cup will be presented. Following this there is a pig roast outside, and later in the evening a party. If any of Andrew’s friends might like to know about this, please pass it on. 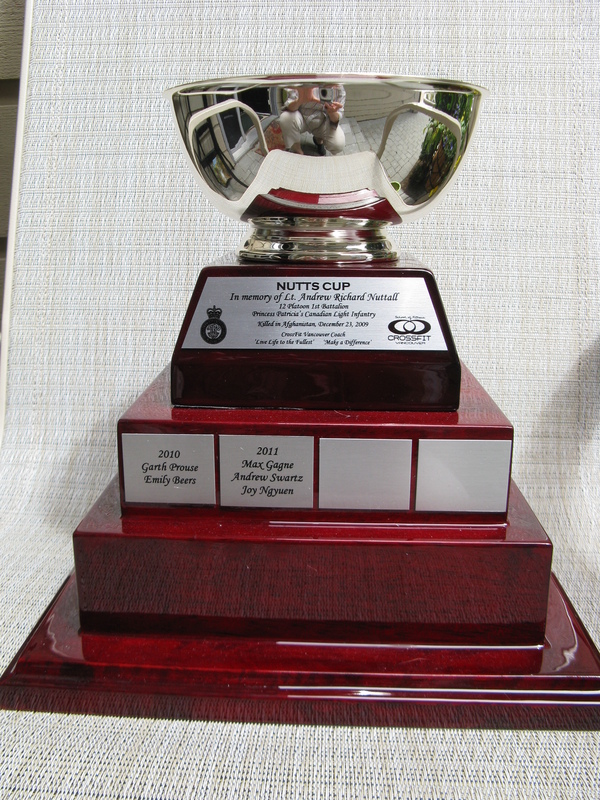 Second Annual Memorial ‘Nutts Cup’: $5000 prize money up for grabs! 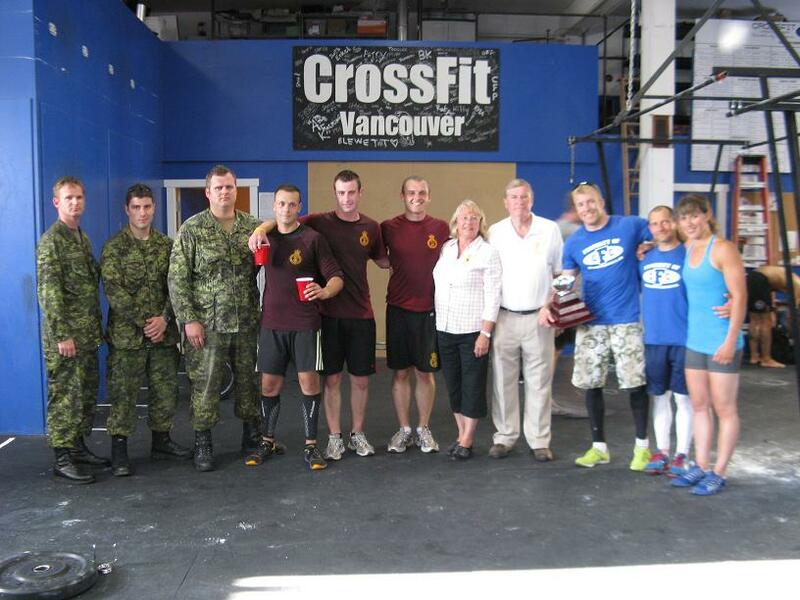 Many of you probably remember that Andrew was honoured with a Crossfit “Hero” workout last year (scroll down to find Andrew’s workout among the other fallen heroes who also have their own workouts, go see the details here), and this event incorporates that workout into a competition and celebration of Andrew’s life. To get a flavour of the event that took place last year, check out this blog posting. If anyone wants to donate any cash or prizes to help continue to make this an even bigger and better event, please contact Craig Patterson. It’s a great event and honours Drew is a great way, so take part or contribute in some way if you can! 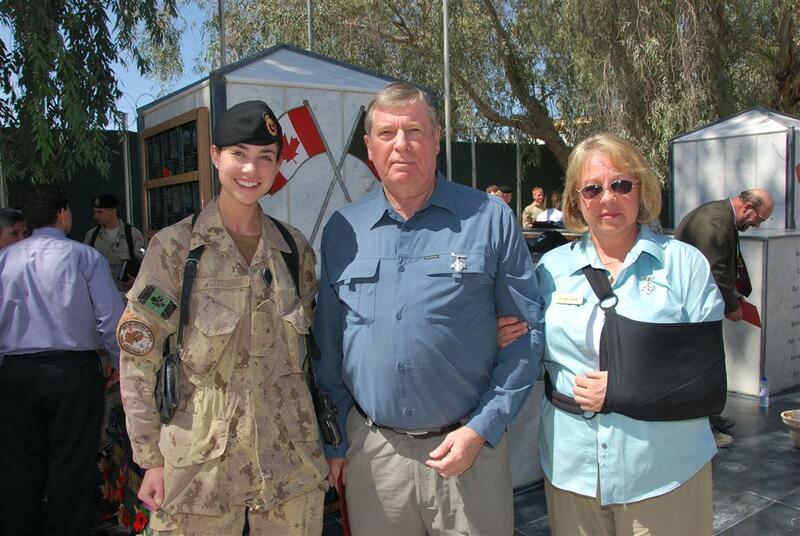 As you may know, Jane and I travelled to Kandahar with the Canadian Forces March 15 to 23 as part of the next-of-kin program where the forces take out family members of the fallen. We travelled with 15 other family members. We were shown the operation in some detail, and were able to touch the ground and breathe the air where Andy lived and died. We both found it helpful. We took many, many photos, but the following are six that stood out. These photos were taken around one of the events where there was an impressive and moving ceremony at the Canadian Monument to the Fallen, which occurred on Sunday morning, March 20. 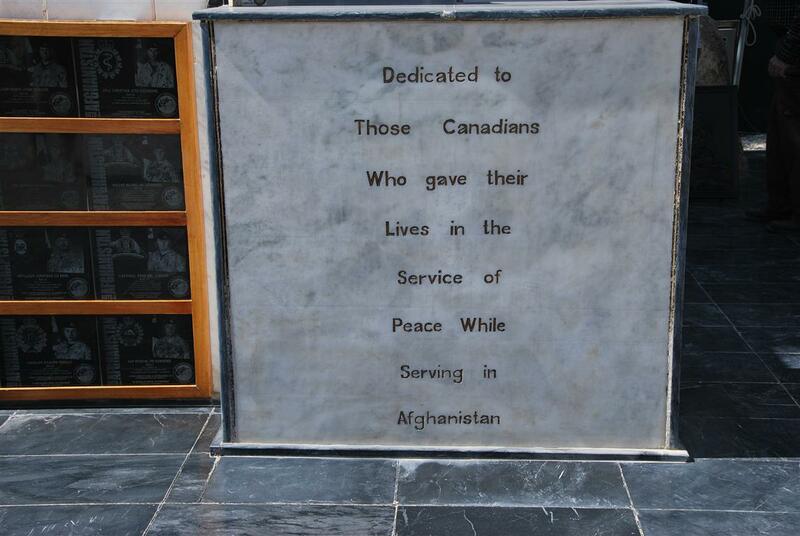 This monument is to be moved back to Canada at the end of the mission in a few months, and will be erected in Ottawa. 1. 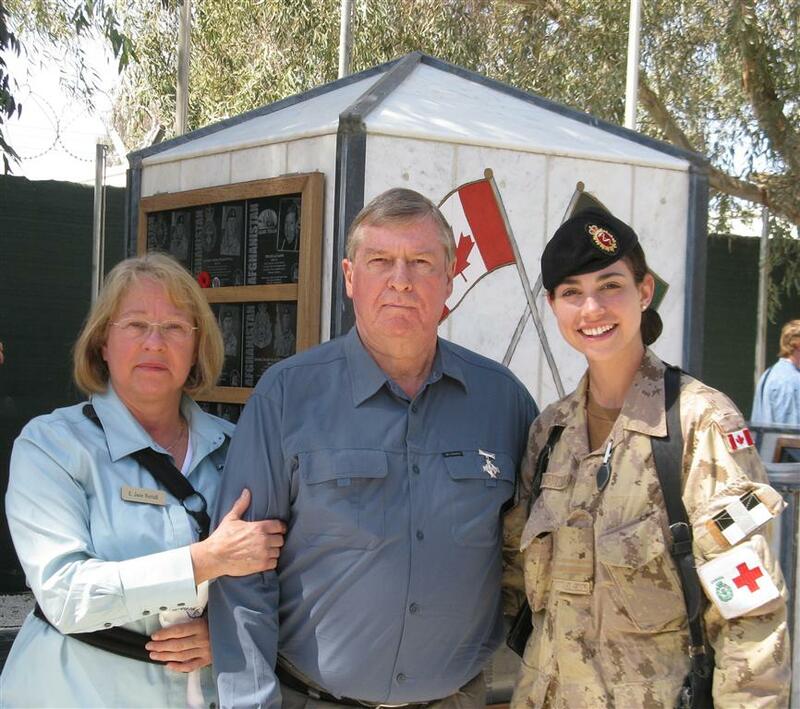 Jane and Rick in front of the Canadian Task Force Headquarters in Kandahar. 2. The Canadian Monument to the Fallen which is in front of the Headquarters. 3. Jane and Rick with Ashley Atkins at the Canadian Monument. 4. Jane, Rick and Ashley. 5. 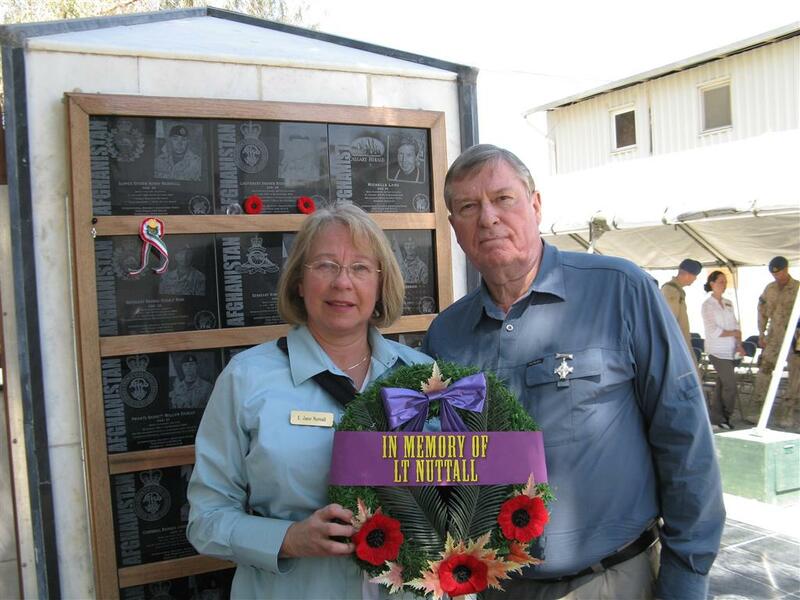 Jane and Rick laying a wreath for Andrew. 6. 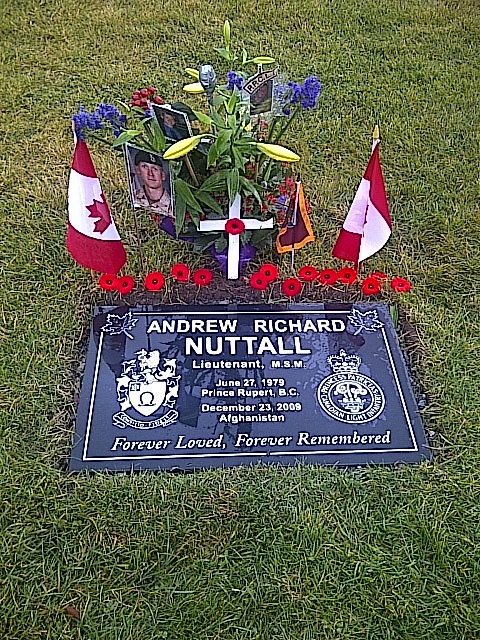 In Memory of Lt. Andrew R. Nuttall.